Nowadays when people talk about their magical workings and the goals which they work magic for, they seem to mainly involve satisfying material desires, such as wealth, money, love, health, business and sometimes even popularity. While the satisfaction of material desires takes precedence, the mystical aspects quite often get neglected. I think this is quite unfortunate because I believe magic to be a very sacred practice, with mysticism being as much a part of magic as are the spirits that the magician works with. Mysticism helps establish a solid foundation from where a magician can stand to work his or her magic for spiritual and material purposes. Through doing so it aids in the unification of the higher and lower natures, and results in the birth of a new form of spiritual consciousness. Just like the semi divine heroes found in mythology, as they are the product of the union between spirit and matter which, is often portrayed as a god and a mortal woman. Once this spiritual state of being comes forth, it then starts to unfold itself as we learn to exercise its powers within our lives. How do we put the mysticism back into magic? For myself it came from learning to understand allegory and the magical language of symbolism. Which, I found to be hidden in the sacred words and images of the grimoires themselves. Unfortunately, this way of seeing is often misunderstood by those who misrepresent allegory and symbolism with so called secret codes and blinds. This skewed view probably stems from the misappropriation of certain old sources, like that found in the Greek Magical Papyri PGM X11. 401-44. In this text there is an example given of a secret code of names used for herbs and other such things to act as a blind for the uninitiated. But, this is not what I mean by allegory and symbolism. Instead, allegory uses nature's alphabet of symbols to teach spiritual truths through the process of analogy. Because, through using analogy it shows the parallels that exists between the subjective world, and the objective world. And, in this way the phenomena that is seen to happen in the exterior world is interpreted as a reflection of the inner world of spirit. “That which is above is like that which is below.” Nature is the analogue of spirit, so in the words of Wordsworth. "Let nature be your teacher"
It is from nature's symbols which are used to depict allegory, that we get our associated lists of magical correspondences. These items are then used in magic because of the inherent spiritual meaning that is connected to them. 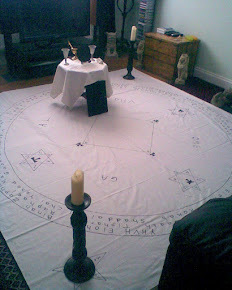 For example; lets take the instruction which is found in the Key of Solomon for using bats blood. The bat is part of the Chiroptera family, which means -"hand wing." The hand is a symbol of creative power because, it is our hands that we use to create physical things with. The wing indicates the ability to fly in the air, which is normally associated to birds therefore, it is a symbol that represents the activity of spirit. Considering bats are nocturnal creatures, they represent the creative power of spirit operating in matter. This is because the imagery of the “night” is a symbol for matter. 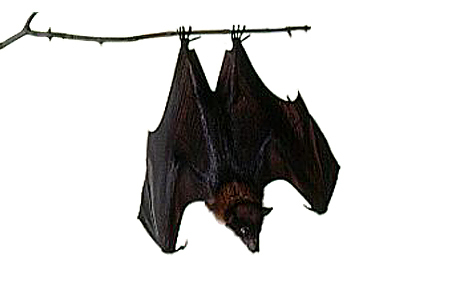 Plus, bats are also fond of hanging upside down, pointing directly towards earth - the world of matter. But, there is more; in the “key of Solomon” Chapter X1V it gives the instruction to draw the blood of a bat from its right wing. Why not its left wing? The answer more than likely is to be found in the meaning of the symbolism associated to the hands. The right hand is for giving, representing the active outgoing energy of creativity. While the left hand is for receiving, representing the passive incoming energy of creativity. This is exemplified in the paintings of ancient Egyptian art where the gods are sometimes shown with either two left hands, or two right hands. This depicts the role they are playing as passive or active. And therefore, the use of bats blood from the creature's right wing, would seem to suggest that it represents the active power of spirit operating in matter. By incorporating mysticism into magic it will help in forming a substantial understanding of the processes used. Or as Mr Lisiewski calls it, “subjective synthesis.” It is then that magic will become a much more wholesome practice, enabling us as magicians to provide for ourselves materially, and develop spiritually. As Joseph Lisiewski also says in his book, “Howlings from the Pit;” Mysticism completes Magic. A really thought provoking post Darren. And I totally agree with you. While the Grimoires seem to concentrate on satisfying material wants, and causing physical phenomena,including many of the Abramelin squares, I think it's a matter of some things being understood and left out (as is common in the Grimoires). The Grimoires concentrated on one aspect, but the path of mysticism was always understood and maybe even a given. Wasn't it mentioned in the Howlings that eventually the magician wouldn't obtain the same results from magic and would naturally evolve into the path of mysticism? "In the end we all become Mystics". Nice work. Thank you Peter, your kind words are much appreciated. yes I think mysticism was and is a natural part of the magical concept for the Grimoires. After all, the people who have written them, based them upon the Holy Scriptures of Christianity. But, I do believe that they are based upon the mystical interpretation of the Scriptures, which teach universal spiritual principles that are a part of other religions too,in particular pre-Christian ones. Yes I think Lisiewski did say something to that effect.